It would seem that military divers remain largely a mystery. Today, the average Ukrainian knows what role in protecting Ukraine, tanks, communications, and artillery play. During the war, all those interested in news from the front, learned to distinguish from land and aerial divisions. We got used to the idea that these brave men keep Ukraine’s peace, and their work – is extremely important. But what of divers? What is the role played by these specific and almost invisible professionals? The front line is not limited to land. It extends offshore and below the water surface. In Mariupol, the front line, such as protecting maritime borders in the Azov Sea begins under water. For the part of a ship that floats below the water is very convenient for attaching foreign objects to. This may be weapons or drug-holding containers (such a discovery for divers is not a novelty), it could be a radar device, and it could be explosives. No wonder, because the distance from the Azov Sea to the combat zone is only a few dozens of kilometers. 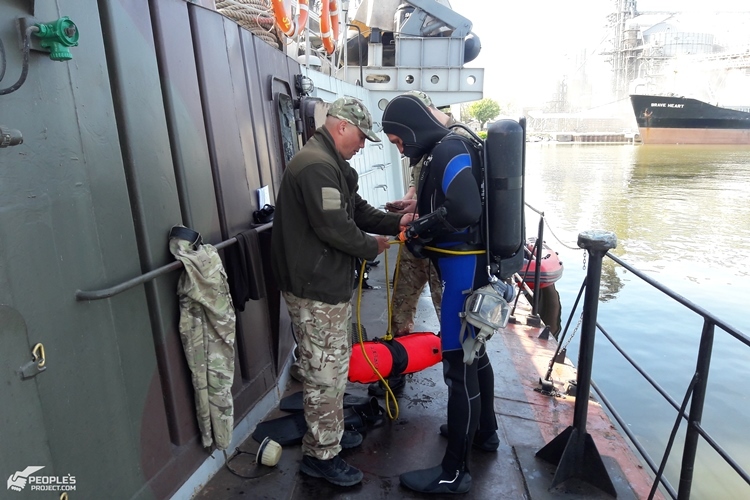 As part of the Scholl of Military Divers project, we first of all undertook to oversee the training of this squad of divers. These guys perform combat missions, and in relatively peaceful conditions. They fix ships under water, inspect them for signs of damage or tangled nets and expose smuggling – it’s common for these tasks. 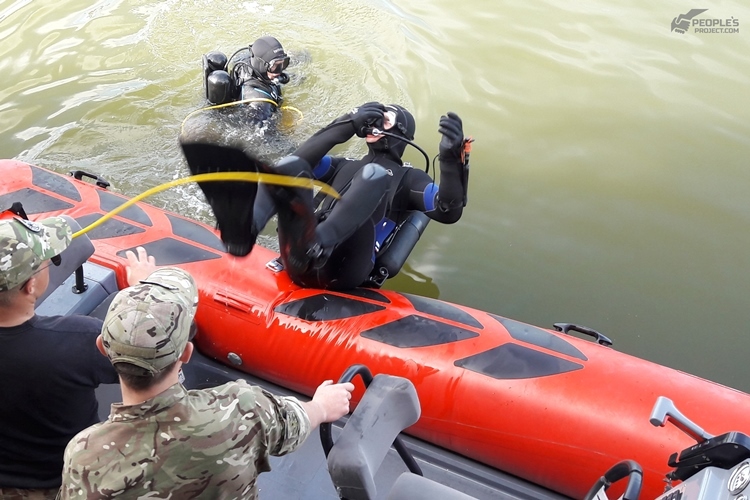 The war has also led to adjustments in their work – now they go into the water, looking not only for damage and illegal cargo but also explosives or even hostile saboteurs! 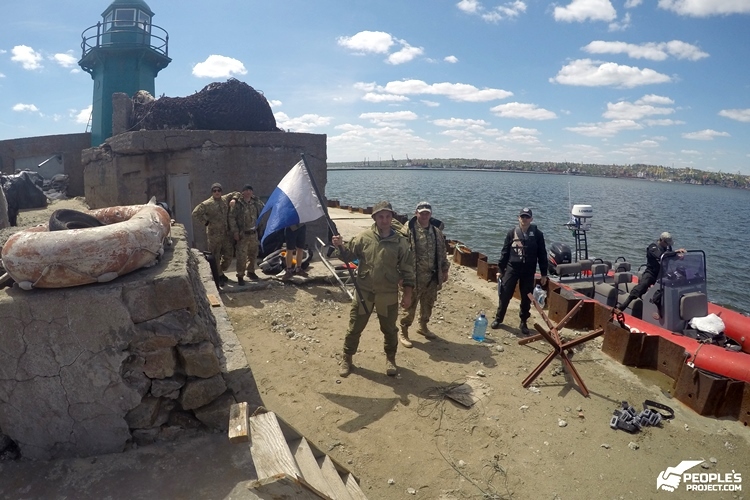 Recently, on combat patrol of the coastline, journalists from the RFE project “Donbas Reality” tagged along. See the story, which describes the almost daily dangers facing Ukrainian marine border guards. It would seem that in more than three years of war from the sea we do not see an actively advancing enemy. But no! In fact, Mariupol guards have recorded cases of arrogance when a subversive group of militants from the so-called “Army of the NPT,” sailed a boat to shore and to Mariupol on their way to cover positions on the border with mortar fire. Of course, the vaunted “fleet of the DNR”is just a few fishing boats. But we know that the greatest damage may not be caused by the theatrical troops of the unrecognized republics, namely the threat comes from the fleet of the aggressor country with which Ukraine shares a common border, including sea. 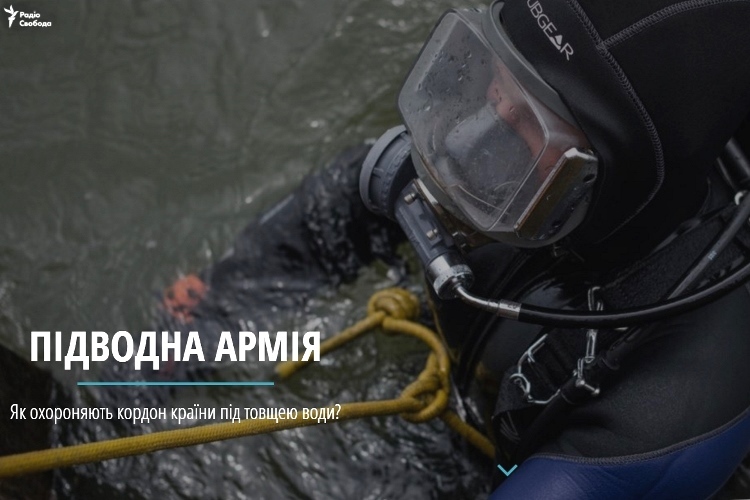 We have already written about the case of a water crossing of the border from Russia – in fact, if it was not for the work of maritime security, such “raids” could become almost a daily reality. 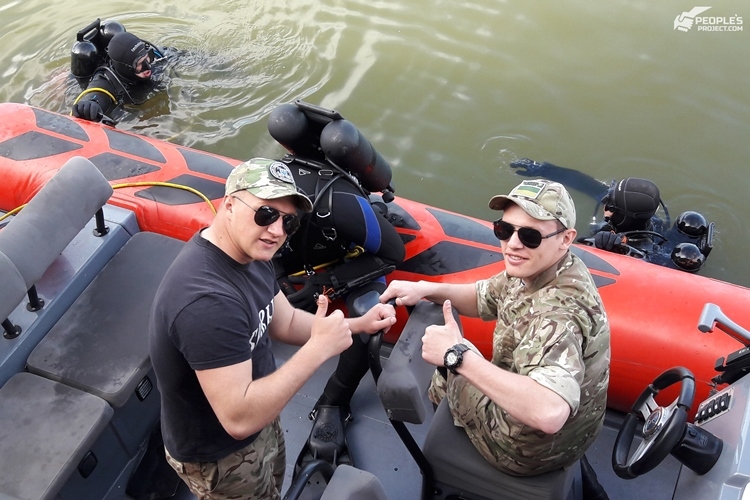 Now for the second time divers in this unit have been trained under the program School of Military Divers, and are ready to fulfill tasks of any complexity – both in peace and in war. 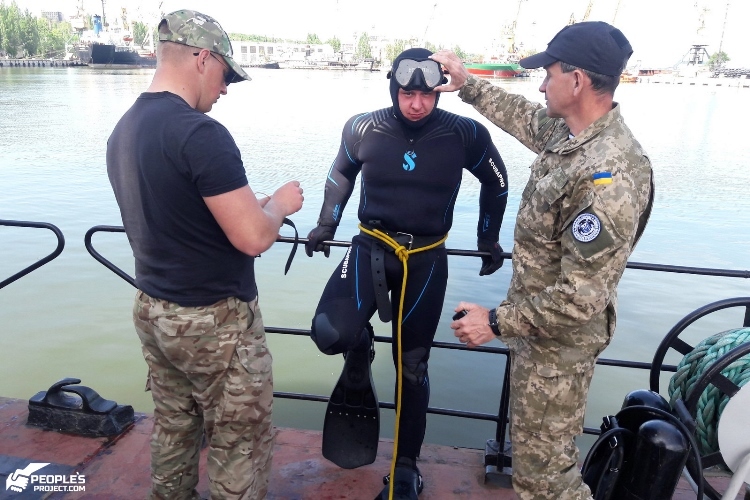 During training RFL correspondents from “Donbas Realilty” spent two days with divers and instructors, carefully learning all the secrets of the training of the Mariupol detachment of maritime security in the project. From this was born this whole interactive project. Mini-site dedicated to the School of Military Divers can be found here. Meanwhile, the training continues. Right now waiting for their turn is a group of divers from the Odesa detachment of border guards and even naval commandos! By the way, Ukraine has divers divisions in all military branches except aviation. So enough work for our instructors! 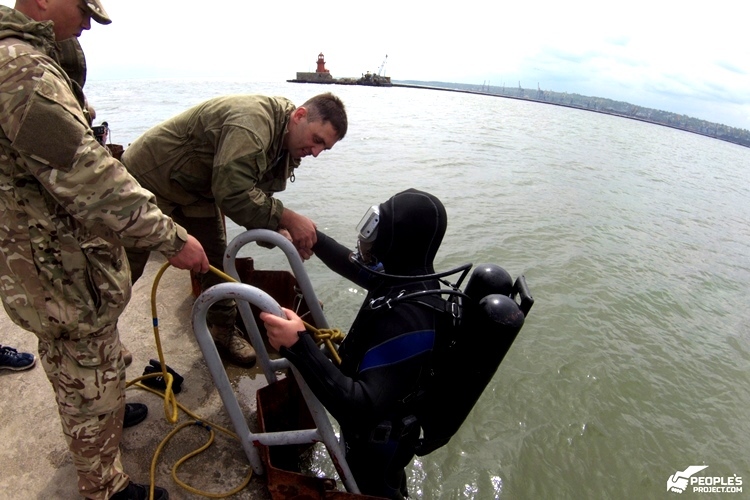 By helping the School of Military Divers, you invest in the safety of the Ukrainian border.